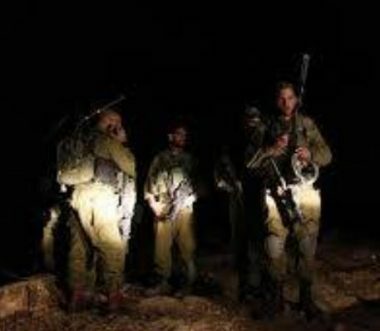 Israeli soldiers abducted, on Tuesday evening, two Palestinian Shepherds in Ein al-Hilwa and as-Sakout areas, in the Northern Plains of the occupied West Bank, for bringing their cattle to a distance of 2 kilometers away from Shidmot illegal colony. The soldiers attacked the two shepherds and abducted them, before moving them to an unknown destination. It is worth mentioning that Israel prevents the Palestinians from planting their lands in the Sakout Meadow, allegedly for being close to the border with Jordan. In addition, the Israeli police imposed a 250 Shekels fine on a farmer in the Sakout Meadow, for driving his tractor in that area. It was between 1981 and 1982 when Israeli authorities seized several pieces of land to the west of the town of al-Zawiya, west of Salfit, the occupied West Bank and used the illegally confiscated land to build quarries. Azmi Shuqair, a Palestinian journalist and also owner of one of the lands seized by Israel, told WAFA that Israeli authorities have been seizing more and more land, over the years, to construct quarries. Shuqair said such cases should be taken to international courts to sue both Israeli authorities and the companies working in quarry construction. He also called for the opening of “Khellat Hamad” gate, which allows farmers access to their land beyond the separation wall. Due to the construction of the separation wall, Palestinian farmers found difficulty in accessing their land in al-Zawiya, which made it easy for Israel to construct a quarry named “Pioneer.” The expansion and construction of more quarries happened after 2002, when Israel surrounded the area with the apartheid wall, resulting in plundering Palestinian stone stocks. In 2013, the World Bank estimated that the Israeli restriction on Area C deprives the Palestinian economy of $3.4 billion a year, which amounts to 33% of the Palestinian gross product. According to the Land Research Center, Israeli quarries have confiscated 3,522 dunams of Palestinian lands as of 2015. A report published in the Israeli newspaper Haaretz in 2014 showed that the quarries have expanded beyond their s as stated in the permits given by the “Civil Administration” and Israeli authorities. In 2015, Norwegian insurance company “KLP” announced that it decided to withdraw investments from the two large international construction material companies, Heidelberg Cement and Simex, which operate through Israeli companies, due to their activities in the occupied West Bank in a way that violates the Geneva Convention. 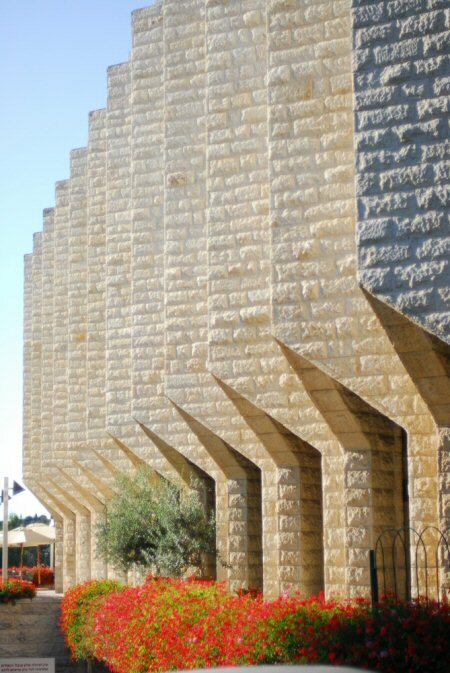 The Danish pension fund also withdrew its investment in a global building materials company, which operates a quarry in the West Bank. Marwan Abu Yacoub, Director of the Environment Quality Authority in the Salfit Governorate, told WAFA that “HeidelbergCement, a major company for Israeli quarries, is located in the western area of Salfit, and a stone quarry, which is only 2.5 kilometers away from the town,” said Abu Yacoub. “There’s another quarry built on the land of the town of Kafr al-Dik, and belongs to the illegal Israeli settlement of Eli Zahaf. It’s located near to a historic archaeological landmark called Deir Samaan,” he said. By the beginning of 2016, there were approximately 10 quarries owned by Israeli settlers on Palestinian lands, producing 2,930 tons of gravel, 1,400 tons of basecourse and 3,030 tons of soft soil, 80% of which goes to construct Israeli settlements in the occupied West Bank and Israel. According to Human Rights Watch, since 1994, Israel has rejected issuing permits to Palestinians quarries, in return for the allocation of large areas of lands in the West Bank to Israeli quarries, and issued 11 permits for quarries run by Israelis, which provides 25% of quarry materials to Israeli economies and settlements. In late March 2016, Israeli military authorities closed around 35 Palestinian stone factories in the West Bank and confiscated equipment worth millions of dollars. As a result, 3,500 Palestinians workers went out of work. International law prohibits the plunder and the destruction of the natural resources. Israel’s plunder of Palestinian natural resources is no exception. Conventions prohibit Israel’s use of the natural resources in the Palestinian occupied territories and demand that they be kept unchanged. George Karzam, from the Center of Environment and Development, said that based on an analysis of aerial photographs of the Israeli activist Dror Etkes, who monitors Israeli settlement policy, Israeli quarries have expanded their activities by more than 500 dunams of the land during the period from 2009-2014. In many cases, the expansion of the quarries reached into private lands owned by Palestinian families. A research paper titled “The Aggregates Industry on the West Bank” showed that the quarries industry in the West Bank amounts to $160 million dollars annually.It said 64% of the quarries in Area C are being run by Israel while only 36% is run by Palestinians in Areas A, B and C, indicating that Israeli operators ($105 million) generate about five times the value managed by Palestinians ($21 million). 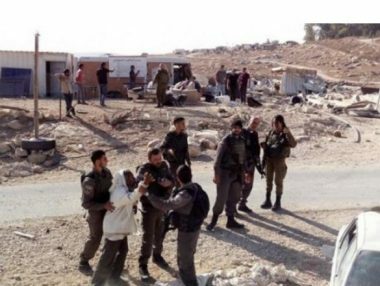 The Israeli Occupation Forces (IOF) stormed on Monday Beit Einoun town, east of al-Khalil, and demolished a Palestinian-owned facility. 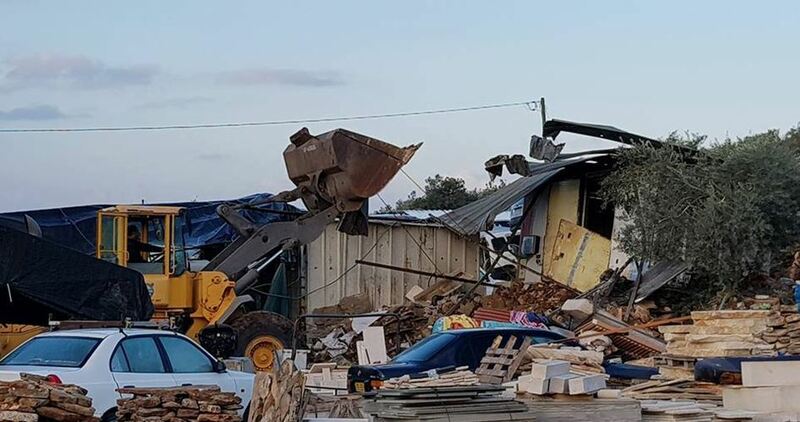 Local sources affirmed that IOF soldiers stormed the area accompanied with a military bulldozer and started demolishing a store for being built without Israeli permit. 1,023 Palestinian-owned facilities were demolished in 2016 in the West Bank and occupied Jerusalem including 488 houses. Britain has agreed to pay its annual contribution of 20 million pounds to support the Palestinian Authority (PA) budget, Minister of Education Sabri Saydam said on Saturday. According to Saydam, part of the contribution will go to education as proof of Britain’s support for the development of the education sector. The decision was announced during a telephone call Saydam received from the British Minister of State for International Development and Minister of State for the Middle East at the Foreign & Commonwealth, Office Alistair Burt. Saydam said that the continued support of education by donor countries demonstrates the high level and confidence in the Palestinian educational system and its ability to achieve qualitative results. He stressed the need to maintain this kind of support which helps strengthen the educational system. He further pointed out that such support serves development goals and ministry plans for advancement especially after the recent first meeting for donors and international partners for education in Gaza, which recommended paying greater attention to the education sector in the blockaded Gaza Strip. Dozens of Israeli settlers on Thursday evening stormed archaeological sites west of al-Khalil’s northern town of Beit Ummar, in the southern occupied West Bank. A PIC news correspondent said dozens of Israeli settlers from the illegal settlement of Karmi Tsur, built on Palestinian land in Halhul and Beit Ummar, broke into a historical site in Jala area and performed sacrilegious rituals. Extremist settlers attacked a Palestinian family while they were picking olives. 64-year-old Khalil Adi sustained bruises in his head and was taken to the public hospital. Palestinian farmers have frequently been banned from reaching their ranches near the Karmi Tsur illegal outpost. Israeli soldiers confiscated, Thursday, a garbage collection truck owned by the Joint Services Council for Solid Waste Management, from ‘Aqraba village, south of Nablus, in the northern part of the occupied West Bank. Yousef Deeriyya, a member of the Popular Committee against the Wall and Colonies in Aqraba, said the soldiers chased the truck, and confiscated it, after collecting and burning the garbage the designated area in ad-Dowwa area, northeast of Aqaba. It is worth mentioning that Israel has been trying to prevent the Palestinians from using that area for the collection and disposal of garbage and trash, as it is trying to illegally confiscate it, for the benefit of the colonists. 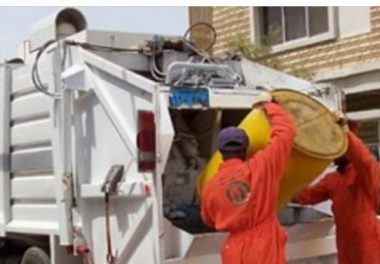 Last August, the soldiers confiscated a garbage collection truck, owned by Qabalan Local Council, after stopping it near Aqraba. The Israeli Occupation Forces (IOF) confiscated on Wednesday several tons of goods at Karam Abu Salem commercial crossing before entering the Gaza Strip. Israeli media sources said that the confiscated goods were examined in a new laboratory established by Israel’s Land Crossings Authority at the crossing between Gaza and Israel. The new chemical laboratory established at the Gaza entrance began its operation in recent weeks, examining chemical substances. 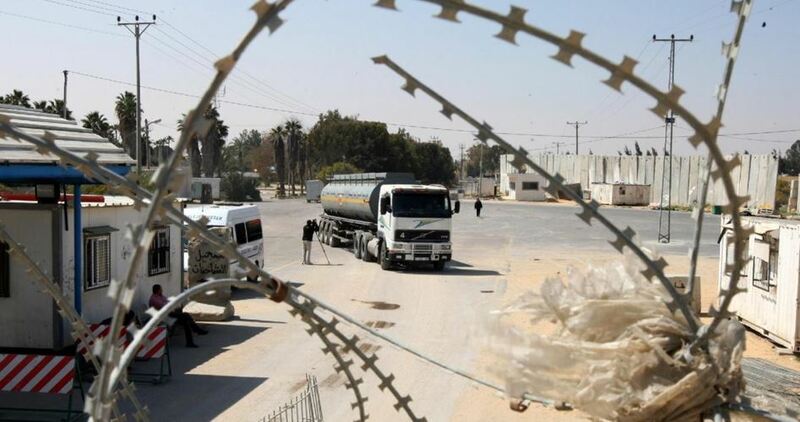 According to the sources, lab experts examine a wide range of substances, using advanced equipment: gases, liquids, powders, metals and other substances – before the trucks carrying them are allowed to enter the Gaza Strip. Israel prevents more than 500 kinds of goods into Gaza, affecting all sectors of economy, health and education, and delaying the implementation of the projects of the private sector and those sponsored by Arab and international institutions. Funds donated by Kuwait to reimburse factories destroyed by the Israeli offensive on Gaza have been dispatched to the enclave, a Palestinian minister said. Public Works and Housing Minister, Mufeed al-Hasayna, said $1.7 million were sent to Gaza. He called on those registered on the list of affected persons to go to the Bank of Palestine to receive their allotted sums. The minister hailed the Kuwaiti Emir Sheikh Sabah al-Ahmed al-Sabah and the Kuwaiti Development Fund along with the Kuwaiti people for supporting the Palestinians. Several Israeli army jeeps invaded, on Wednesday at dawn, Barta’a town, isolated behind the Annexation Wall, southwest of Jenin in northern West bank, and abducted a young man, in addition to abducting another Palestinian at a military roadblock. Media sources in Jenin said the soldiers invaded and searched homes, in the Eastern Neighborhood in Barta’a, and abducted a young man, identified as Ahmad Mahmoud Kabaha. 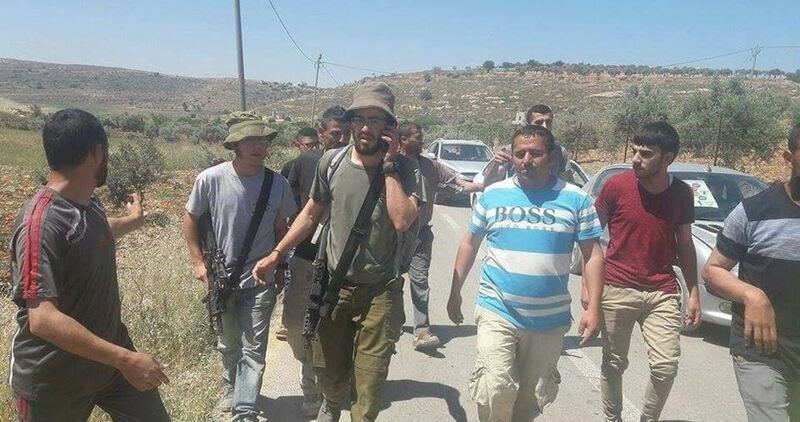 Furthermore, the soldiers abducted Sa’ad Ed-Din Jaradat, 27, from Zabbouba town, west of Jenin, after stopping him at a military roadblock near the town while he was heading back home. In related news, the soldiers invaded Jinsafut village, east of the northern West Bank city of Qalqilia, stormed many homes and violently searched them. The soldiers interrogated several Palestinians while ransacking their homes, and withdrew hours later without conducting any arrests. In Ramallah, in central West Bank, the soldiers invaded a jewelry store, owned by Hani Ezz and his three brothers, and detonated its safe before illegally confiscated gold, cash and other property. The soldiers caused excessive damage to the furniture in the store. It is worth mentioning that the store provides livelihood to forty Palestinians. Israeli soldiers abducted, on Monday at dawn, twenty-one Palestinians in several parts of the occupied West Bank, after the soldiers invaded and ransacked their homes, in addition to breaking into a jewelry store, causing serious damage, and illegally confiscating its belongings. 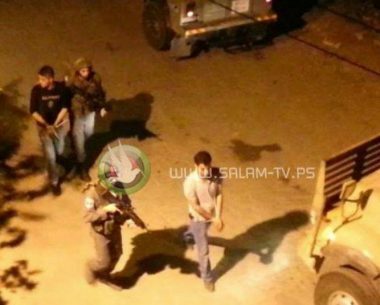 Several army jeeps invaded the center of Ramallah city, in central West Bank, before soldiers stormed many homes and stores, and abducted one Palestinian, identified as Nader Saba. The soldiers also invaded a jewelry store, owned by members of al-Asbah family, and violently searched it, before illegally confiscating its belongings. 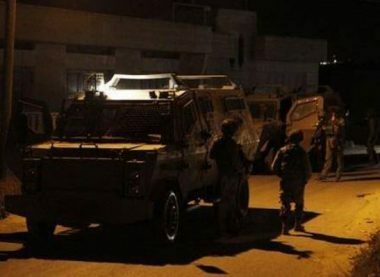 Also in Ramallah, the soldiers invaded Ni’lin village, west of the city, searched many homes, and abducted the Coordinator of the Popular Committee against the Annexation Wall and Colonies, Abdullah Abu Rahma, in addition to Adeeb Abu Rahma and Ahmad Mohammad Abu Rahma, from Bil’in nearby village. In Hebron, in southern West Bank, the soldiers abducted Naseem Atef Shalalda, 21, and Ala’ Jaradat, from their homes in Sa’ir village, northeast of Hebron, in addition to Mohammad Sabri Masalma, Ja’far Waleed Masalma and Arkan Rezeq Masalma, who were taken from their homes in Beit Awwa town, southwest of Hebron. The soldiers also invaded many neighborhoods in Hebron city, in addition to nearby towns of ath-Thaheriyya, Yatta and Ethna, and installed roadblocks on the main roads leading to Sa’ir and Halhoul towns, in addition to Hebron’s northern entrance, before stopped and searching dozens of cars, and interrogated many Palestinians while inspecting their ID cards. Furthermore, the soldiers invaded homes in Jayyous town, northeast of the northern West Bank city of Qalqilia, and abducted two young men, identified as Faraj Sami Khreisha, 21, and Ahmad Nabhan Baida, 20. In addition, the soldiers invaded Jenin city, and al-Yamoun town, west of Jenin, in northern West Bank, and installed a roadblock on the Jenin-Jaffa road, in an area leading to many nearby villages and towns, before stopping and searching dozens of cars, and inspected the ID cards of dozens of Palestinians while interrogating them. Israeli forces raided central Ramallah on Monday, before dawn, and broke into homes and shops, including a jewelry store from which the soldiers stole gold merchandise, according to Palestinian security sources and shop owners. They said a large force raided Ramallah, the de facto capital of the Palestinian Authority and base of its president and government, and broke into and searched homes and shops. In the process, soldiers raided a jewelry store owned by Izz al-Asbah who said the Israeli soldiers raided his shop, ransacked it and stole more than one and a half kilograms of gold. He said the force caused major damage to his shop, WAFA reports. 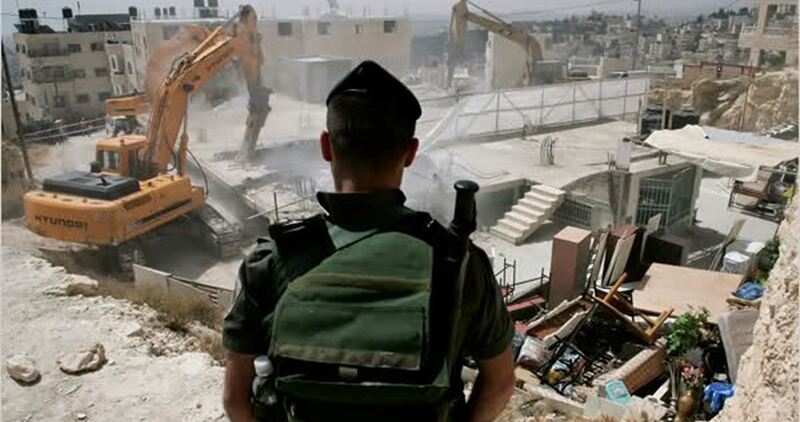 The Israeli occupation authorities (IOA) on Sunday notified the demolition of residential and agricultural structures in Masafer Yatta area to the south of al-Khalil. 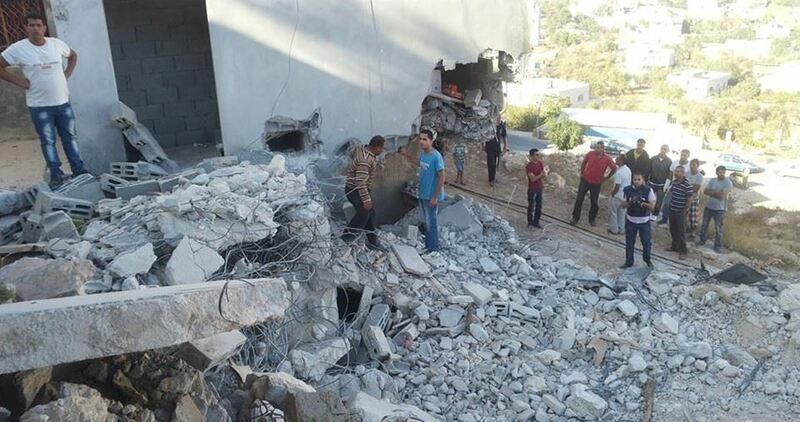 Coordinator of the National Committee for Resisting Settlement, Rateb al-Jabour, said that the so-called Civil Administration crews, escorted by a large military force, raided Sha'b al-Batam area and handed the Palestinian citizen Ibrahim al-Jabarin three demolition notices against two houses and a barn for allegedly being unlicensed. According to the PIC reporter, the Israeli crews ordered Sha'b al-Batam residents to demolish these facilities themselves within 24 hours. Sha'b al-Batam is subjected to repeated attacks by the Israeli soldiers and settlers. In February 2017, the Israeli occupation forces (IOF) raided the area and destroyed a number of classrooms, barns and water wells as well as a Muslim oratory. 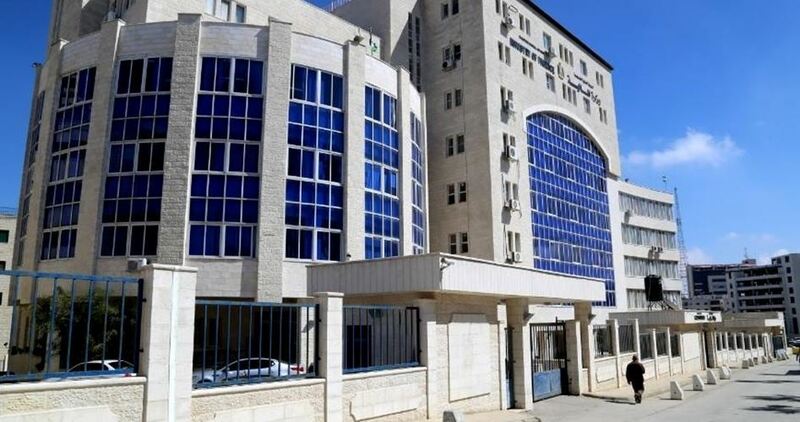 The PIC reporter said that the IOF, accompanied by Israeli intelligence officers, on Sunday broke into al-Ahli Hospital in al-Khalil city, summoned a security officer working at the hospital and searched him then started to scrutinize the IDs of the Palestinians entering and leaving the hospital but no arrests were reported. In 2016, the IOF stormed the same hospital, arrested a Palestinian ex-prisoner and killed his companion.